Smoothies are a great way to get fruit in to your diet, and there are so many different flavour combinations, that you can never get bored. I know there are some people that don’t see a smoothie as a meal, but my smoothie in a bowl is a filling and balanced meal that is packed full of deliciousness. Don’t smoothies always get served in a glass? They don’t have to! Look how much nicer they look when they are put in to a bowl and you get to eat it with a spoon too. Less chance of spilling it down yourself then (no? just me?). I like serving them in a bowl as you get to add some extra ingredients on top too. If you are getting in to healthy eating, then making your food look appealing it as important as it tasting good. “The first bite is with the eye” is a bit of a cliché, but it is true. When I first started losing weight, I made me food look as visually appealing as I could to prove to myself even more that it was better for me than a bland grey ready meal. You can make this with any of the smoothie ingredients that you usually use. I do this with my green smoothies as well (the ones with spinach and kale in them). I usually add some homemade peanut butter on top too, but I had run out. Before we get to the recipe, I wanted to let you know about a new gadget that I have in my kitchen – the Optimum 9400 Blender from Froothie. My old blender has served me very, very well. I use it every day, usually multiple times a day. but it started cracking and it was time to throw it away. It also wasn’t the most powerful blender in the world and struggled with things like nut butter, so I was exited to try something much more powerful. I have had this for a few months now, but I have held off from telling you all about it until I had enough time to try lots of different things in it. 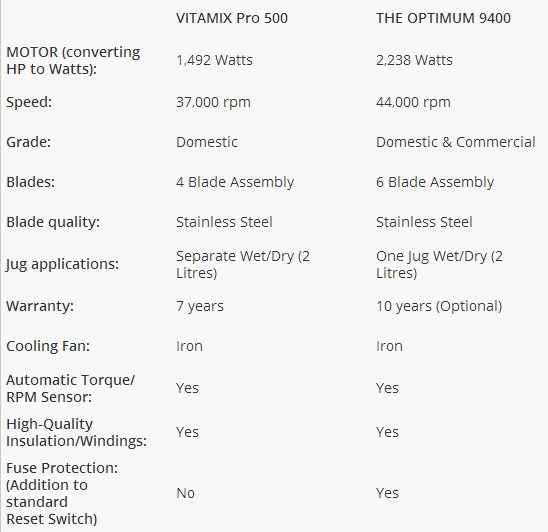 Most of you have probably heard about the Vitamix Pro, however the Optimum 9400 is actually more powerful and not only that, but you can a 30 day money back guarantee if you are not happy with it. In my opinion, the price of it is great value, as it is cheaper than the Vitamix and with things like blenders, you get what you pay for. If you use it a lot, like me, then investing in a really good quality one is important, as you don’t want it to break after a few uses. I have made a lot of different things in my blender, like smoothies, nut milk, nut butter, dressings, sauces, dips and pastes and it has worked perfectly. It gets everything really, really smooth too – which is what you want if you are making your own nut butters. Think how expensive it is to buy clean nut butters. 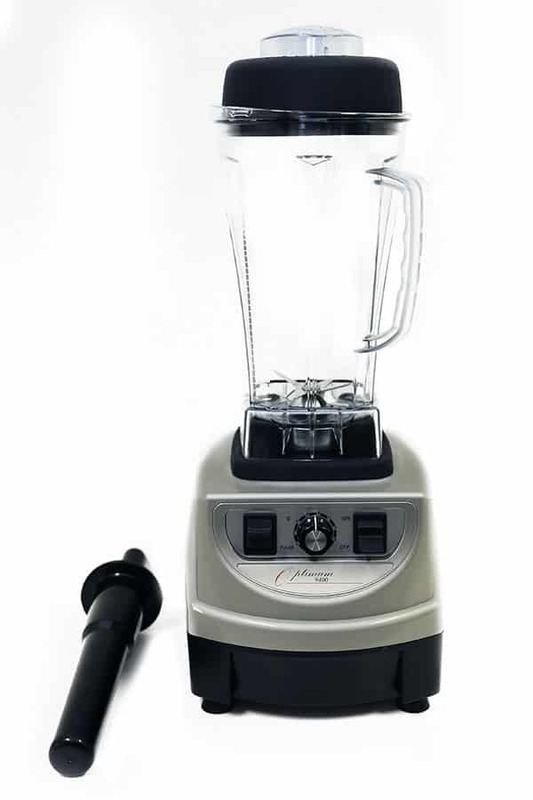 Making your own will save you so much money in the long run, so investing in a good blender like this is definitely worth it in my opinion. Keep a look out on the blog, as I am going to be giving one of these away very, very soon! So make sure you have signed up to my mailing list above to be updated when the competition goes live. What are your favourite smoothie ingredients? Leave a comment below! This smoothie bowl looks so darn tempting. I’m going to purchase some strawberries towards the end of the week, to give this recipe a try. I’ve made super thick smoothies that I’ve had to eat with a spoon out of the glass — makes so much sense to just put it in a bowl!!! It makes a nice change too. Plus, I find I am less likely too spill it down myself if it is in a bowl. How clever is this!! I am totally doing this! Maybe I could trick my husband into eating a smoothie like this! Such a great idea! How gorgeous. My little ones would love to sit down to such a beautiful breakfast! I really need a new bender, so thanks for sharing your recommendation. I love this blender. It is seriously so powerful and does everything you could want. I love the colour. I am off to look at more of your breakfast recipes now, as that is somewhere that I struggle. Great idea! I haven’t heard of chia seeds before. Where can I buy them? What are the benefits? They are rich in omega 3 acids. You can get them from most health food shops. This looks so pretty! Too pretty to eat. I don’t like typical smoothies, the texture of them- watery and lumpy and just bleurgh! But this… this I could deal with I think… If I didn’t blend it too smooth it could be eaten with a spoon. I just can’t drink smoothies! Hahaha! Lovely lovely colour and really like the presentation in a bowl, such a great idea! Thanks 🙂 I really try and make my food extra colourful. What a fantastic idea – smoothie in a bowl! Looks and sounds like a perfect brekkie! It’s nice to have a breakfast that is so colourful. 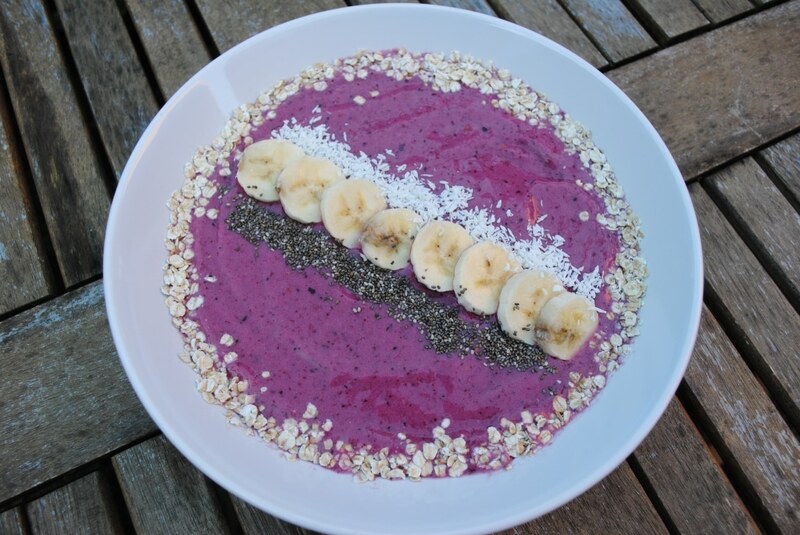 I’ve never thought of putting my smoothie in a bowl – Interesting idea! They are great, because you can do so many different combos. That’s what I love about them. I can sometimes get a bit too crazy with the toppings and pile them high. I semi refuse to make a smoothie because it will never be as awesomely beautiful as other people’s, most specifically yours. Please come and style my food at all times? thanks! Haha okay, I share start selling my services for food styling. I have only recently started having them, but I love them! You should try my healthy chocolate pudding that uses them. 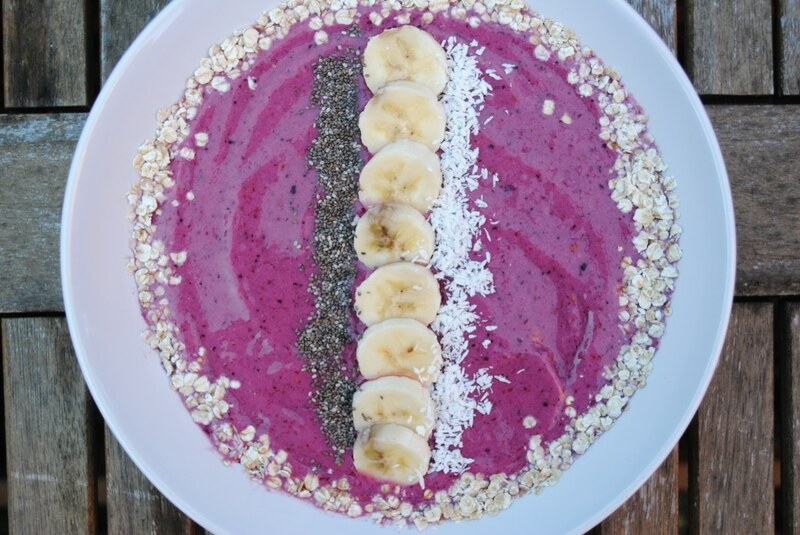 That smoothie bowl looks too pretty to eat! That smoothie bowl is beautiful – like a piece of art! love those vibrant colors. perfect bowl to munch on. I like to make my food as colourful as possible! It’s really nice to be able to add the extra toppings to make it a full meal.